Although women significantly outweigh men as victims of domestic violence, domestic violence does not just happen to women. A man came into my office to discuss filing for divorce. During our consultation he advised me that his wife had physically threatened him with a knife, and thereafter told him that she felt that she was likely to harm him. The circumstances he described sounded real and potentially dangerous. Nonetheless, when I suggested that he seek the protection of the court by applying for a temporary restraining order (TRO), he minimized the danger to himself. When I advised him that I would not represent him unless he gets the protection that he so clearly needs, he hired other counsel. How does someone who is being significantly abused seek a restraining order? In Monmouth County (as in all New Jersey counties), a judge or hearing officer has the authority to grant a restraining order at the request of a person in a family or in a family-like relationship that temporary restrains the other person from returning to the shared residence and from being in the presence of the alleged victim, among other things. It is a two-part process. The first part of the process involves the alleged victim going to either the Superior Court or the local police department and filling out a set of papers that outline the acts that the victim says the perpetrator committed. After reviewing these papers, and after testimony from the alleged victim, a judge or hearing officer will decide whether circumstances exist that warrant the issuance of a temporary restraining order (TRO). The second part of the procedure involves the “return date,” which is a day for both parties to appear in the Superior Court in Freehold, usually about a week after the TRO was entered. At that time, the parties will appear before a Superior Court judge. The judge will listen to the testimony of the alleged victim and will then listen to the response by the alleged perpetrator. An actual trial takes place. As a result of considering the testimony of the witnesses as well as any evidence presented (such as photographs and any other physical items that either or both parties may attempt to use to prove their case), the judge will decide whether an act of domestic violence has occurred. If the judge decides that in his opinion an act of domestic violence has not occurred, then he will dismiss the case. On the other hand, should the judge find that an act of domestic violence did occur, he will enter a final restraining order (an "FRO"). At this point the judge has a broad array of supplemental remedies available to help the victim of domestic violence, including granting exclusive possession (not title) of the residence to the victim, providing for custody of children and parenting time, financial relief, and a host of other possible options. Of course, there are some people who attempt to abuse the protection that the Prevention of Domestic Violence Act offers. 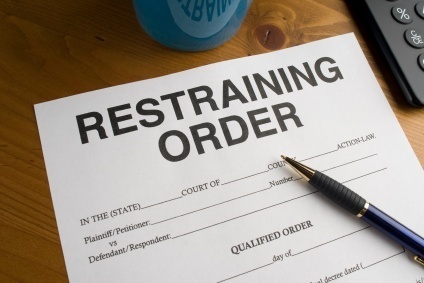 Restraining orders are available to protect people who are at risk, not someone who, for example, is inappropriately attempting to obtain an advantage in a divorce case or a custody battle. The man who came to my office to discuss filing for divorce was in denial about the seriousness of his wife’s conduct and her threatening statements. Notwithstanding his own denial, his family was frightened for him because they understood the seriousness of the wife’s actions and statements. He, however, was unable to accept the fact that his wife might actually carry out her verbal threats, even in the face of the reality that his wife had recently held a knife inches from his throat threatening to kill him. Talking with a third party who you trust is usually a good gauge for determining whether circumstances are severe enough to warrant seeking a restraining order. That third party should be someone who is very familiar with our court system, usually a lawyer who is knowledgeable about restraining orders. A police officer or someone in a related capacity might serve the function as well. It is important for people of both sexes and from all backgrounds to understand that if they are being threatened or harmed by a significant other, there is a place to go for help.